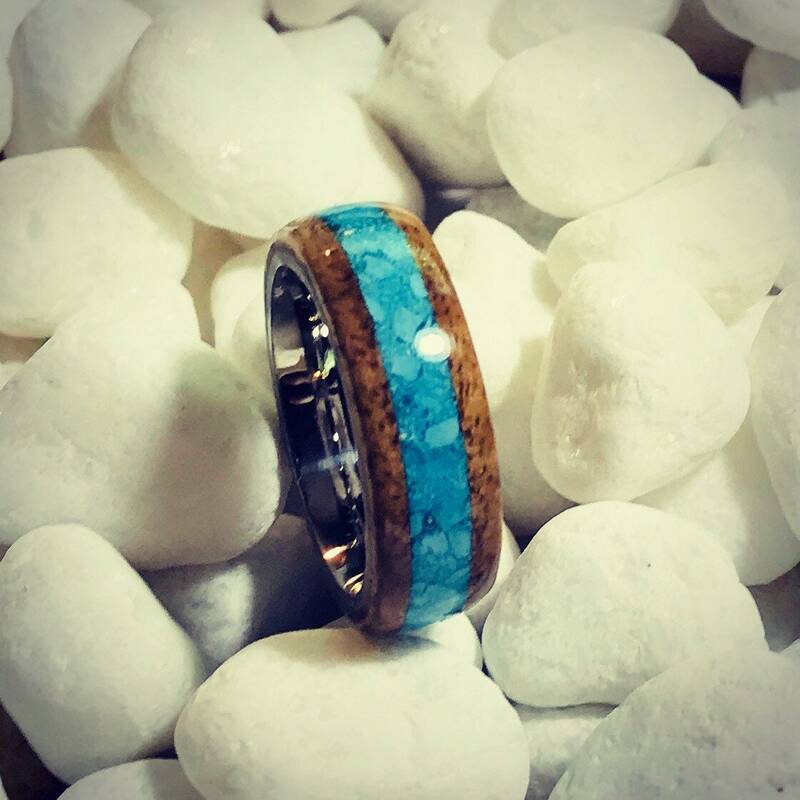 This gorgeous ring is made from Hawaiian Koa wood with crushed turquoise stone pieces atop a stainless steel band. This band is available in 8mm with good weight and comfortable fit. Each band is custom made and has its own unique wood grain and shade. 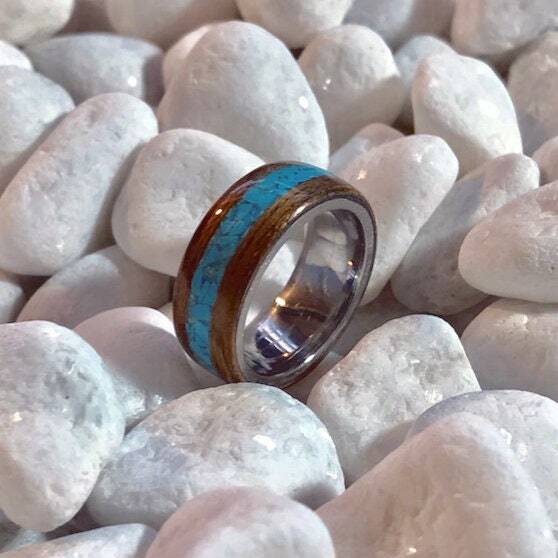 Each ring is made in the bentwood style to your ring size using a jeweler's mandrill. The wood is then shaped and polished. The wood is then encased in a strong UV resin coating, making a waterproof and scratch resistant and ready for daily wear!